Rarely available 1 Bed 1 Bath open layout with views of the Opera House. Features include a custom kitchen with gas cooking, hardwood floors in the living room, master bath with white marble, and in unit laundry. Millennium Place is Boston's newest premier downtown full service building. Residents will enjoy unique 5 Star Service such as 24 hour concierge and doorman as well as access to a private club with casual dining, a lovely bar and lounge area, a beautifully cultivated garden. On-site fitness center with Pilates, Yoga, and Massage studios as well as a Theatre Screening Room all included. 580 Washington Street #404, Boston, MA 02111 (MLS# 71972620) is a Condo property that was sold at $845,000 on July 29, 2016. Want to learn more about 580 Washington Street #404? 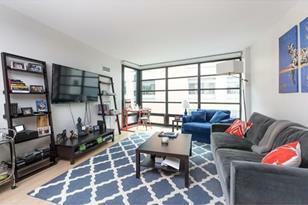 Do you have questions about finding other Condo real estate for sale in Midtown? You can browse all Midtown real estate or contact a Coldwell Banker agent to request more information.